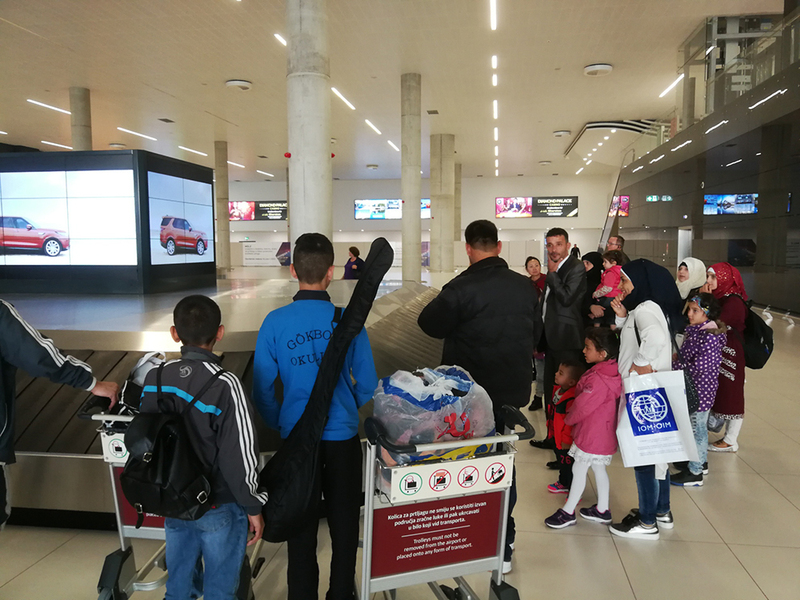 Zagreb – Forty-four Syrian refugees landed safely in Zagreb on Wednesday and Thursday (10-11 October) after leaving Turkey as a part of Croatia’s first ever resettlement programme, which was launched last year. To date, 149 refugees have been resettled with IOM’s assistance under the pilot programme since November 2017. Prior to this weeks’ arrivals, three groups of 105 refugees were resettled to Croatia. The new arrivals included seven families: 28 adults, 15 children and one infant (17 males and 27 females). After being assisted by IOM at the airport, the new arrivals were taken to the Reception Centre for Asylum Seekers in Kutina.